Ten years after the disastrous Black Saturday bushfires when 173 people lost their lives in a day, Renegade revisits those who survived those infernos, discovering how they have rebuilt their lives and dealt with the unimaginable consequences of that day. 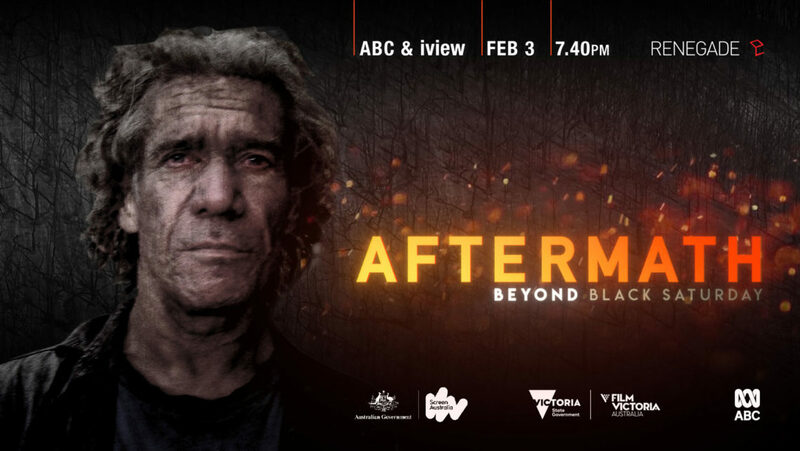 Produced by Joe and Ken Connor and Lucy Maclaren, directed by Tony Jackson, narrated by William McInnes, music by David Bridie and shot by Marden Dean ( Breath), AFTERMATH provides and insight into the lives of those affected by extraordinary events and the many roads to recovery. Aftermath is a companion piece to the multi award winning 2009 Renegade Films production Inside the Firestorm which covered how the events of hat disastrous day unfolded. This day was hell on earth for people caught by surprise in this inferno as they did not stand a chance, due to lack of emergency information. The people who survived, have faced a very long road to recovery. I live in Buchan and my community and district have faced fires in 2003 for 7 weeks, 2006/07, 2009 and now in Jan we are facing another massive fire in steep and rugged mountainous terrain.